The bad news: I got a quote from the insurance company, and it will cost $200/year MORE to insure my one remaining car than it previously cost to insure both cars! How can this be? Isn't this some kind of mathematical impossibility, where 2 take away 1 ends up being 3? Well, the insurance lady (who was really very nice) explained that I'm losing the multi-car discount - but shouldn't that just mean that the remaining car would cost more than IT would have cost if I didn't have the other car, but not more than BOTH CARS TOGETHER? And now both boys have to be listed as drivers on the newer car - but in reality, they always drove the newer car, anyway, so it's a change in semantics, not in reality. So I'd be better off still owning my Corolla and letting it slumber away, undriveable, in my garage. The good news: well, what is the good news? I guess the good news is that this time I actually LOOKED at the details of the insurance quote and discovered that all along I've been paying for stuff I didn't need, like extra health insurance in case someone without health insurance hits me, this when I already have health insurance. Insurance to provide me a rental car if my car is in the shop - this although the shop itself will pay for a rental car. So now, taking off these extra charges will leave the new insurance quote the same as the old insurance quote: one car will cost as much as two, but not more than two. And I learned a lesson about reading fine print and asking questions. And it's still better to have one car than two. Everyone I know is busy. Crazy busy. Ready to fall apart busy. I can’t complain to anybody about how busy I am without getting a return complaint about how busy THEY are. I was complaining to one graduate student about how I have 22 papers to grade in one class and 47 in the other, all coming in during the next two weeks, for a total of 69 papers. He topped that right away: he has eighty students total, and he assigns more work than I do, so right now he has 160 (!) papers to grade. I complained to another friend about all the grading I have to do, plus the SIX articles I’m editing for a quarterly at the University of Maryland, plus the paper I have to prepare to give at a conference at the University of Maryland next month, plus the long-overdue abstract of the paper I have to prepare on Rousseau for an edited collection. Oh, and plus writing those Petrarch-inspired poems for the Tupelo Press Poetry Project that I agreed to take part in. Oh, and writing my blog! She countered that she is also behind on everything. She needs to remove her bathroom wallpaper and paint the room – AND tile it! She needs to recarpet the bedroom. Oh, and her kitchen needs to be updated if she is ever going to sell her house. Now, of course, down deep I still believe that I’m the busiest. Or, at least the only one who has a right to complain. Why did my graduate student assign all those papers, anyway? Why can’t my friend just leave her wallpaper alone? But, of course, they could equally well say: why did I take on this editing job? Why did I accept the invitation to write the piece on Rousseau? And do I really HAVE to write sonnets inspired by Petrarch during a week when I have so much else to do? 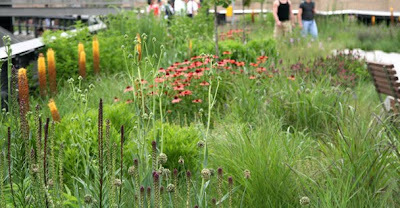 And will anyone really care if I forget to blog? Time to grade papers, remove wallpaper, write sonnets, and blog. Time to use however we choose. Yesterday evening I went with Christopher and Samantha to a concert by Christopher's piano teacher, Grace Asquith, who performs in a chamber music group called Chamber Ensemble con Grazia. The concert, at the Broomfield Auditorium, was a song recital: Italian songs, Catalan songs, three different musical settings of Verlaine's Claire de Lune, songs by Schubert, songs set to the poetry of Sara Teasdale (the favorite poet of my childhood), an amusing French horn response by CU emeritus professor William Kearns to three poems by Emily Dickinson, and a closing set of three humorous songs. The soprano was the wonderful Maureen Sorensson; fascinating commentary was provided by CU professor Elissa Guralnick. The first of the three comic songs that closed the program was "Penguin Geometry," by John Duke. In it, a traveler, heading south, comes upon a penguin who informs her that she has already reached the south and can proceed no farther in that direction. "Well, then, I'll go east," she says (I paraphrase). "Which way is east?" "There is no east from here," the penguin tells her. "Well, then, I'll go west." "There is no west from here." With south, east, west, ruled out, all that is left is north. "Well, which way is north?" And the penguin replies that north is here, there, everywhere! A few years ago I hit bottom in my life. I had no idea which way to go. Every direction seemed equally impossible. If only I had had a helpful penguin with me then, to reassure me that, yes, I had already reached as far south as I could go. And that from that nadir point, every possible single road was heading north. Yesterday I needed to take my Subaru (car number two) into the dealer for a scheduled repair; Christopher and I dropped it off using my Corolla (beloved car number one), and on the way home from the Subaru dropoff, the Corolla died. Every single light on the dashboard came on: brake light, battery light, oil light. The car refused to go, even though it was in the middle lane on Broadway, at Baseline, in heavy traffic. Two kindly gentlemen pushed us to safety; I called AAA and had it towed; and Mike at Boulder Toyota, who has taken such good care of my Corolla for so many years, called me to tell me that the repair would be $887, this on top of the similar amount I already spent on repairing it earlier this year. It was time to say goodbye to my faithful little car. This is the car that drove me to Colorado from Maryland 18 years ago, the car that would go to rescue other people's newer-model Audis when the Audis were stranded by the side of the road, the car with the dent where I backed it into the painter's truck a decade ago, the car with the bashed-in side where somebody apparently broadsided us in the Fairview High School parking lot. I went to Boulder Toyota to pay my final respects. Rest in peace, little car. So now we're back to being a one-car family. I have to admit that, grief for my poor little car aside, it feels so good to be living a more economically and environmentally sustainable life (of course it's only been a few hours so far!). I don't have to send in the check to renew the Corolla registration; I can call State Farm and cancel its insurance and get a refund! We'll get so good at walking and taking the bus (well, I'm already good at those things, but Other People in my family will get good at them, too); I'm looking into Boulder Car Share for those times when we'll simply be unable to get along with three drivers and only one car. My new frugal, green(er) life begins today! I loved best how their own songs came from all kinds of odd little sources of inspiration (as they explained from the stage). "Hang on, little tomtato" was inspired by a catchup advertisement in a 1950s Life Magazine; "Hey Eugene" came from China's meeting a guy at a party who acted very interested in her but then never called; "Je ne veux pas travailler" (my favorite) had its origins in some lines of classic French poetry. That's what I love about writing my children's books, too: living my everyday life and stumbling upon little bits of this and that to make their way into my stories. Grandpa's fascination with handwriting analysis sparked Amy's Mini Society project in Trading Places; a school hallway display of recent student work (student ideas on what they would do to change the world) generated How Oliver Olson Changed the World; a funny comment Gregory made when he played a piece called "The Horse Race" in his first year of piano lessons ("My horse was the one that lost") provided the unifying motif for Gus and Grandpa and the Piano Lesson. Little bits and pieces, stitched into the quilt of story. I swim a sea that has no shore or bottom. The worst part is I don’t know how to swim. to flail across a shallow backyard pool . . .
and now this ocean stretching sky to sky! refuse to let me drown. I don’t know how. But a good time to learn would be right now. On to prompts three, four, and five! I woke up at 4:30 yesterday morning to work for two hours before getting Gregory up for school at 6:30, and me off to the university at 7:30. I did it again today. Bliss! Each day I wrote for an hour on my book and then spent an hour tackling some other relatively small but significant work-related task: writing a book review yesterday, editing one article for the quarterly I'm guest-editing today. Oh, it feels so much better to get up and get my work done than to lie there in bed, paralyzed with stress and dread and doubt. I reread Anthony Trollope's autobiography once a year. Trollope worked fulltime as a civil servant for the British postal service during most of his career as a novelist. He wrote, "The vigour necessary to prosecute two professions at the same time is not given to every one, and it was only lately that I had found the vigour necessary for one. There must be early hours, and I had not yet learned to love early hours." I have always loved early hours, but sometimes, for weeks or months at a stretch, I'll forget how much I love them. I owe everything I have ever achieved in my life to early hours. Alas, I have to be out late every single evening this week, which means that by Friday I may have forgotten again how much I love those hours before dawn. But I hope I remember. Oh, and my writing group loved my chapters last night. Whew! Of course, it's more beneficial for me when they don't; the whole point of a critique group, after all, is to improve one's writing through critique. If what I brought was pronounced perfect every time, there would be no point in being in a writing group at all. Or would there? Praise and encouragement are so sweet. They made it that much easier for me to slip out of my nice warm bed this morning, at 4:30, while the rest of the world lay sleeping. As I visited Ellis Island on Thursday, and the Lower East Side Tenement Museum on Saturday, I kept wishing that I wrote historical fiction. It would have been so satisfying to have been touring these wonderfully restored historical sites to soak up atmosophere for a book, do onsite research, luxuriate in period detail to help me create an authentic story set in the past. But I don't write historical fiction. I wrote one historical novel, What About Annie, published a long time ago, and I don't think it was all that good. I still remember one critical review that said that story was "marred by too much intrusive period detail." Having gathered it, I couldn't resist not putting all of it in. I much prefer writing stories set in the kinds of real, contemporary elementary and middle schools that my own kids attended and that I visit as an author. I never really feel confident just making things up about times gone by. But still, it seemed like such a waste to be right there at the Lower East Side Tenement Museum and not at least groping toward a book about an immigrant girl doing piece work by a kerosene lantern. Everything is more fun for me if I can write about it. But at least now I can blog about it! And blog about how I wish I could write about it. I'm home from my grand, gala week in New York. The finale to the trip was a mini-reunion with five friends from my freshman year dorm, McAfee Hall, at Wellesley. We reconnected over Facebook and decided to rendez-vous in either Boston (three of them live in New England) or New York (two of them live in or near the city); I'm the only one who lives far away, the only one who had to fly to get there. But I'm so glad I did. It was a lifetime-memorable day, one that I'll still be savoring in thirty years. Kathy, Marcey, and I shared a hotel room on Friday night; on Saturday morning, Tricia, Lisa, and Donna met us there and we headed out for brunch, followed by a tour at the Lower East Side Tenement Museum, a stroll through the new High Line park (on an abandoned stretch of elevated railway, first reclaimed by nature, and now reclaimed for recreation), had drinks at Donna's gorgeous apartment on Central Park West, talking and laughing for hours, and then dinner at the Union Square Cafe. Now we want to meet again - Boston? Colorado? Meet every year! The one little teensy drawback to saying yes to absolutely everything in life that is gloriously fun and worth doing is that, well, outings and jaunts and treats cost money. This one cost a lot of money. It was worth every single penny. But I don't have all that many pennies. I am so committed to living a life crammed full of joy and opportunity in whatever form it presents itself. But then the credit card bills arrive. So I'm glad that I also said yes to teaching not one, but two classes on chi ldren's book writing for Lifelong Learning, through Boulder Valley Public Schools, starting in the beginning of October. And yes to teaching summer school again next year. And yes to guest-editing a publication for the University of Maryland. Yes, to all of it. I've always loved New York City, and on this trip I told myself that one of my life goals should be to live in New York for some stretch of time, so that I could get to know the city not as a wide-eyed tourist, but with the intimate affection of someone who wanders the roads less taken. Maybe I could arrange to come teach in New York for a semester? But then I told myself: well, why don't you start prioritizing a closer acquaintance with New York RIGHT NOW? On every trip, get off the tourist trodden path and explore. I could see and learn something new every year. I mean, I have never even been to Harlem! Or Columbia University! Or the whole upper half of Manhattan! So this morning I took Christopher and Samantha by taxi cab to Laguardia for their 10:30 flight. Then I decided to explore cheaper ways to get back into town for my 12:15 lunch with my editor at the Farrar, Straus & Giroux offices, now in the Flatiron Building at Fifth Avenue and Broadway, the intersection of Fifth Avenue and 23rd Street. I saw a local bus bound for Manhattan - $2.25! I checked the route - Harlem! And on to Columbia!! I boarded the bus and in just a few minutes, so it seemed, there I was outside the Apollo Theater on 125th Street. I got off the bus and started my walk - past the shops and jazz clubs of Harlem, over to Morningside Park, up a long, steep flight of stairs to Morningside Heights, across the Columbia campus, and then down Broadway. I ate a canoli from a little Italian bakery. I browsed the notebook aisle at the West Side Stationers. On past 72nd Street, Lincoln Center, Columbus Circle, Times Square, Herald Square - 100 blocks in all. I feel most proud and pleased with myself! 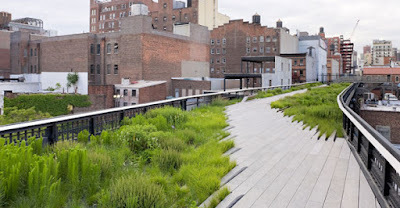 If I walk 100 blocks on every visit to the city, maybe I WILL get to know it like a native. Or at least know it a whole lot better. Oh, and the birthday bash was wonderful. The day included stunning views from the Top of the Rock (Rockefeller Center), the three-hour Circle Line boat tour around Manhattan, the long-awaited drink at the Waldorf Astoria (guess how much a drink costs there? no - more! $18!!! ), Wicked on Broadway, and a ride back to the hotel in a horse-drawn carriage for Christopher and Samantha. I must say that I do know how to do birthdays! If you don't mind spending $100 every hour, you can have a grand time in this city. Or you can take the # 60 bus for $2.25 and walk yourself weary and happy. I'm in North Plainfield, New Jersey, staying at my sister Cheryl's house, which also happens to be my childhood home. My mother sold it eighteen years ago, and it was owned by other people in between; my sister bought it three years ago. She and Carey did a lot of renovations to the kitchen, adding French doors out onto a deck that didn't exist when we were growing up. But it's still recognizably the same place, though "Claudia's room" has become "Cheryl's room" - the room where my sister works from home and scrapbooks; "Cheryl's room" has become the master bedroom. I'm in the living room right now, where I used to lie for hours on the couch listening to Petula Clark's "Downtown" on the "hi-fi" - it was here that I would also lie on the floor to dry my hair in front of the heat registers. Outside is the front porch where my sister and I would sit in mid-August waiting for Tom the mailman to bring us our birthday cards in the mail; our birthdays are four days apart, because we were both one year minus four days apart. At the bottom of the driveway is the indentation which would fill up with water after a rain; there Betsy the doll would go swimming. Alas, poor Betsy - Cheryl and I decided that we wanted to make her into a Betsy-Wetsy doll and cut a little slit in her soft rubber behind. Luckily we gave up the plan before we cut the accompanying slit in her mouth. Cheryl still has Betsy, and she still has Betsy's bathing suit, and the little plastic suitcase in which we stored Betsy's bathing suit. Cheryl still has absolutely everything from our shared past. Upstairs is where we used to play drive-in bank, sitting in the small space formed by the opened bedroom door and an open cupboard door; one of us would sit there while the other one would "drive" by and collect a lollipop. The cupboard door is gone now, but Cheryl has plans to replace it. So next time I come to visit, we can play drive-in bank together. My older son, Christopher, turns twenty-one tomorrow. His birthday fantasy is to have his first-ever legal drink at the Waldorf Astoria Hotel in New York City, sitting next to Cole Porter's legendary piano. And . . . we're going to do it! Christopher, his girlfriend Samantha, and I are flying out this afternoon, and we'll wake up tomorrow morning in our hotel at Times Square, ready for a day of adventure in the big city, ending with the drink at the Waldorf (he's decided, fittingly, on a Manhattan), and then we'll go see Wicked on Broadway. Samantha has never been on a plane before; she's never traveled anywhere except for Kansas, Oklahoma, and Colorado. We're all beside ourselves with excitement. Okay, this is decadent. But it was just irresistible. I love having the power to grant wishes, to make dreams come true. Why NOT grant wishes and make dreams come true, if you can? To Christopher, as he turns twenty-one. Dream big, my dear one. I think all authors are used to bookstore events where nobody comes, the kind of event where you sit in abject embarrassment at your little table while customers sidle past you trying to avoid making eye contact. Yesterday’s event at Barnes & Noble was excellent, even though the Boulder Daily Camera article previewing it had the one tiny error of getting the time of the event wrong, so that people were arriving for my talk just exactly as the talk was ending. But still. The store was thronged with aspiring writers, and I had a dozen or so people at my talk, even as three other talks were going on simultaneously. Now it’s true that I only sold one copy of one book, or at least only signed one copy of one book. But I personally carried the other copies of my books over to the Young Readers section and put them on the shelf MYSELF so that Barnes & Noble wouldn’t send them back to the publisher; the lovely man who is the store’s Community Relations manager said that I could, after I pleaded with him, “Don’t send them back!” (The usual horribly disappointing event ends with the bookstore staff packing up our books to return to the publisher before we’ve even left the store for the parking lot.) As I was heading out, a parent from one Boulder elementary school invited me to come to her school as part of their December book fair, also to be held at this same Barnes & Noble. Maybe I’ll sell ten books there. Or even twenty! Mainly the morning was just plain fun. I like when I can do something that is just plain fun, ten minutes away from my house, AND sell at least one book AND get at least one other invitation to do something else that will be just plain fun. I call that a happy productive morning. Today I’m going to be speaking at a Children’s Writing Conference at the brand new Boulder Barnes & Noble store. I’ll be speaking in the first session, from 10-11, on the topic, “Good to Great: Manuscript Makeovers”; I’ll use examples of my own revision process to show how I take each book through multiple drafts until it reaches its final, published form. Here are some of the guidelines for revision that I’ll be sharing with my audience (if I have any audience! – if you live in Boulder and read this before 10 this morning, come!). 1. Is it clear what this book is about? Is the theme developed unambiguously and clearly stated? 2. Do I have a sympathetic and likeable protagonist? 3. Does my main character have both strengths and weaknesses? 4. Does my main character grow and change? 5. Does my character’s change come from within? Does he or she change for the right reasons? 6. Have I paced my main character’s growth appropriately? 7. Do I need every character? 8. Have I made every character interesting and three-dimensional? Even the adults? Even the villains? 9. Do my characters act consistently in character? Have I been true to my own presentation of my characters? 10. Does all the action of the book serve a purpose? Do I have any story lines that don’t end up going anywhere? 12. Is my first chapter truly “socko”? 13. Is my ending completely satisfying, even if not completely happy? 14. Is there some point where the reader will get tears in her eyes? 15. Is point of view handled consistently and effectively? 16. Are main events adequately foreshadowed? 17. Have I “dropped the ball” anywhere? Have any story lines or characters disappeared too long from sight? 18. Have any crucial scenes happened offstage rather than in real time? 19. Have I given memorable and sparkling details? I know I don’t do succeed on each of these dimensions in every book, but these are at least the questions I ask myself. A few years ago I was asked to contribute an essay to an edited volume on philosophical issues in procreation; I had written an earlier piece on the rights of unwed fathers, and the editors invited me to revisit the topic, updating and expanding what I had written in the light of the considerable recent literature. I agreed. I wrote the piece, the editors reviewed it, they gave me lots of critical but helpful comments, and I revised it. A year or two went by. The book was sent off to Oxford University Press for blind peer review. The reviewers sent their comments to the editors, who forwarded them on to the contributors. I could tell they pretty much hated mine. I have edited such volumes myself in my day, and I know how hard it is to have to drop one of the contributed essays, especially after the author wrote it especially for that purpose, so I most kindly and generously told the editors that I would be fine with being dropped. Indeed, at that point, I was hoping they would drop me. I wouldn’t have to struggle with revising the piece! I could give up and get on with the rest of my life! They said they did want the piece for the volume and urged me to do my best in addressing the reviewer’s critique. So I did. I had my grad student research assistant read the essay and give me further comments and suggestions for how to make the reviewer happy. But I didn’t end up doing very much by way of revision. Frankly, I wasn’t sure HOW to make that very unhappy reviewer happy. S/he just didn’t seem like a very happy person. Or at least reading my essay didn’t make him/her very happy. I made a few small changes and sent it back, saying, this is the best I can do, and remember I will be thrilled if you just drop me from the project altogether. Well, I didn’t quite say that, but I certainly reminded them that if they dropped my piece I’d go on living. And singing and dancing. Well, I just heard back from the editors. The reviewer still hates my chapter but thinks it can be fixed SO EASILY if I just do x, y, and z. So now I have to decide: give this one more try? If I’m really so close to having a publishable article? The philosophy department gave me a gentle hint last year via my annual performance review that I do need to keep producing publishable articles. Or should I just decide that enough is enough: why throw good money (time) after bad? Why not devote the same time, energy, and effort to doing something I’m actually good at, like writing a children’s book? But I know I’ll give this one more try. I’m basically a one-more-try kind of person. So this weekend that’s what I’m going to do. I’ll at least try to give it one more try. Yesterday I gave a guest lecture to a delightful writing class at Arapahoe Community College, down in Littleton. The professor, Dr. Josie Mills, has a whole series of speakers coming throughout the semester, with a different student assigned to coordinate each one. My student host couldn’t have been more welcoming and gracious; she told me in an email that she was even going to bake dessert bars in my honor! The class itself had students of all ages, from just-turned-eighteen to senior citizens, all yearning to write and be published. I felt I had so much I could share. Now, I could have used the same afternoon to work on my own book, or face the third round of revisions for a detested philosophy article, or the philosophy talk I need to give to our Center for Values and Social Policy on Friday, or the publication I’m guest editing for the Institute for Philosophy and Public Policy at the University of Maryland. So in some sense I’m now more behind than ever. But in another sense, I’m farther ahead. Because I had an afternoon of pure fun, surrounded by wonderful, talented, aspiring writers. And I had dessert bars (well, they turned out to be snickerdoodles, but equally delicious) made in my honor. Yesterday I took my mother on a Labor Day outing. We drove up Sunshine Canyon to Gold Hill, and then on to Nederland on the Peak to Peak Highway, returning to Boulder down Boulder Canyon. Our mission was to confirm or disconfirm the rumor I had heard from Grandpa that the aspen had started to turn – indeed, were 75 percent turned. Rumor: disconfirmed! We did see some few precious glimpses of gold here and there, but I would say the aspen are 5 percent turned. Still, that 5 percent was lovely enough to warrant our expedition. Maybe just one shimmering golden leaf would have been enough? That is one of the deepest bonds you can have with another person: that you love all of the same poems, and can quote them to each other on an early autumn afternoon. edited by Betsy Hearne and Roberta Seelinger Trites. The guiding idea of the book is that many of us – most of us? – have what Hearne and Trites call “a narrative compass”: some central story that has shaped us, motivated us, guided us through sorrow and joy. 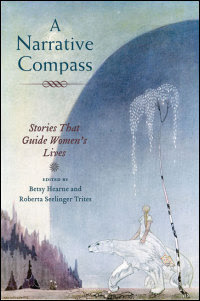 Hearne and Trites have gathered a collection of nineteen essays from women scholars from a range of disciplines: children’s literature, of course, but also health policy and management, history of religion, anthropology, Chinese language and literature, American studies, agricultural history and rural studies, linguistics. The authors are at different stages in their careers: graduate student, assistant professor, occupant of a named chair at Harvard, professor emerita. They are African American, Asian American, Latina American, Native American, white; straight and gay. What they have in common is what all of us have in common: stories have changed their lives. Indeed, some particular story has changed each individual woman’s life. Every single essay in the book is a gem of remarkably candid self-disclosure and a moving tribute to the enduring power of stories. The books featured as narrative compasses include Little Women, the Bible, The Secret Garden, Anne of Green Gables, Nancy Drew, Alice in Wonderland, A Passage to India, The Teachings of Don Juan, and many more, each one celebrated and honored here. Writing the review made me wonder what my own narrative compass has been. It’s hard to pick just one. I guess mine would have to be Betsy and Tacy Go Downtown, by Maud Hart Lovelace. I so identified with Betsy as an aspiring writer, Betsy enthralled by her first visit to the children’s room of the brand-new Carnegie Library, Betsy determined to create a life for herself given meaning by her identity as a writer. My own books echo Lovelace’s prose style. I try to write books that some child reader somewhere will love as I loved hers. And you: what is your narrative compass? What book has most shaped who you are today? My son Christopher’s girlfriend’s parents are in town, visiting from Johnson, Kansas. I had them over for dinner last night. I wasn’t brought up to entertain. I can count on the fingers of one hand how many times my parents had any relatives over for a meal in my whole entire life. I’m an indifferent cook at best. Left on my own, I would live on English muffins with butter and jam. I pretty much live on that right now, anyway. But I did my best. I served potato salad from King Soopers, but I put it in a pretty pottery bowl; bread from King Soopers, but the fancy kind that you bake in your own oven for ten minutes so it tastes fresh baked; pickled beets canned by Grandpa’s friend Billie – a home-made touch, though not home-made by me. Christopher grilled (in the rain). Dessert was peach crisp from Colorado’s delicious Western Slope peaches, the last of a 25-pound box I bought from a Fairview High School marching band fundraiser. I didn’t serve coffee, because I don’t know to do coffee. I didn’t serve alcohol, because Samantha’s parents don’t drink. The table had mismatched dishes, because I don’t have six of anything, but I alternated three of one set with three of another, so they seemed to be purposefully placed. The highpoint of the evening was taking everybody on a little drive of Boulder before we ate: NCAR (the National Center for Atmospheric Research, designed by I.E. Pei), the Dushambe Teahouse, Chautauqua. I may be a mediocre cook, but I’m an excellent Tour Guide Lady. The next time you’re in Boulder, stop by for an okay meal and a fabulous scenic tour, and we’ll have a fun evening together. In my job as a philosophy professor at CU, I teach three classes on MWF, at 9, 11, and 1. Yesterday was a fairly typical teaching day: teach my large lecture class at 9; at 10 hold office hours where students drop in to chat; teach my upper-division ethical theory class at 11; at 12, a luncheon meeting of the steering committee for the Center for the Humanities and Arts; race all the way over to Farrand Hall for my 1:00 class that I teach in the Residential Academic Program in one of the CU dorms; then race back to my own building for a 2:00 talk by my colleague Chris Heathwood on “Moral and Epistemic Open Question Arguments” in our series of talks sponsored by the Center for Values and Social Policy; department meeting 3-5; drinks with the philosophy department women at our monthly ladies’ happy hour 5-7. On Tuesdays and Thursdays I stay at home all day, or at least most of the day: writing, reading, preparing for class, grading papers, puttering at my desk. I always think of myself as loving my quiet, peaceful Tuesdays and Thursdays best, but actually they often leave me depressed. I never accomplish as much as I hoped and planned; sometimes I waste time (albeit pleasantly – this past Thursday, I “wasted” it finishing Julia Child’s My Life in France, which I bought myself as a birthday present to continue my love affair with the film Julie and Julia). I always have the nagging sense that I could have and should have accomplished more. I never feel that way on Mondays, Wednesdays, and Fridays. How could I accomplish more than cramming every single minute full of teaching, talks, and meetings? So maybe I like MWF best. But I think what I really like best is the alternating rhythms of my days: lively/quiet, social/solitary, extroverted/introverted. On Monday, I yearn for Tuesday; on Tuesday, I yearn for Wednesday, and whatever I’m yearning for is only a day away. Every other day I get some memo from the University of Colorado sent to me over email, all about swine flu. We’ve had 49 confirmed cases on campus so far. I think I read predictions that 50 percent of Americans will fall ill with swine flu some time this year. Now, I am never sick. I am so flagrantly, defiantly healthy that I can shout this from the rooftops: “I am never sick!” – taunting the universe, daring it to do its worst. In my 18 years of teaching at CU, I think I have only once canceled a class because of illness. During one previous flu scare, my son asked me what would happen if we all got the flu. “We won’t,” I told him. “Our family doesn’t get sick.” And we didn’t. I’ve never had a flu shot, and I’ve never had the flu. But maybe this time the universe will have had enough of my shameless boasting? If 50 PERCENT of people are going to get the swine flu, maybe I will, too? So I’m using the swine flu as an excuse to get some extra work done. If maybe I’m going to get the swine flu, I should leap into action on that quarterly publication I’m guest-editing for the University of Maryland, right? Finish at least the first draft of my new chapter book – write that book review I’ve promised to the Children’s Literature Association Quarterly – face the talk I’m supposed to give at a feminist philosophy conference in Seattle next month – get busy writing up a proposal for a chapter on Rousseau for a book on Romanticism and the Child in Literature. Gotta get a head start! Swine flu may be coming! 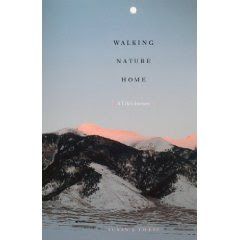 I recently read a book called Walking Nature Home: A Life’s Journey, by Colorado author Susan J. Tweit. Tweit writes about receiving the terrifying diagnosis of a life-threatening auto-immune disease: the opening line of the book is “You’ve got two years, or perhaps five,” the doctor’s verdict delivered to Tweit in February of 1980, with a brusque apology. Tweit didn’t die. Instead she learned to live in a different way. If she was going to have a flourishing life despite her disease – have a life at all, despite her disease – she was going to have to arrange her life, her home, her work, her marriage, to achieve a balance and harmony with nature. And she did. As I read her lovely memoir, I have to admit that my chief reaction was the somewhat bizarre one of envy. Just as the little girls in the Parisian orphanage at the end of Madeline cried boo-hoo and wished that they could have their appendix out, too, I found myself wishing that I could have an auto-immune disease, too, if it would give me permission to fashion for myself a life that was comely, sane and humane, a life that prioritized meeting the needs of mind, body, and spirit. But of course, I don’t need to have an auto-immune disease to do that, and neither do you. I need to save my life, not from the ravages of disease, but from stress, strife, turmoil, fatigue, worry, bitterness, so that I can make of my life, as Tweit made of hers, something filled with grace and beauty. And we don't need permission to start doing that now. So my writing group met at my house last night and they didn’t like Chapters 3 and 4 of the new book. At the end of the evening (my manuscript was critiqued last), when they could see how discouraged I was about the entire project, they hastened to reassure me. One of them said, “Remember, it was only the FIRST SCENE of Chapter Three that I didn’t like; I liked the rest.” Another one said, “Remember, it was only Mason’s interactions with his mother that I didn’t like; I liked the scenes at school.” And the third one reminded me that it was only some OTHER small bit that had made her think there was a fatal flaw in the whole thing. No, that made ME think there was a fatal flaw in the whole thing. So this morning I’m discouraged. I’ve been discouraged before. But this book is supposed to be my “breakout book,” the book that catapults me from “midlist” to greatness, that transforms my career, that gives me not only fame and fortune, but children’s book immortality. And they didn’t love it! What to do? I think I’m especially discouraged for two reasons. 1) The scenes the group didn’t like are scenes that do connect tightly to the very premise for the book. So it seemed that the critique didn’t strike at a few outlying leaves on a few superfluous branches, but at the project’s deep-lying roots. 2) The scenes the group didn’t like are scenes that were revelatory of ME, of who I am as a person and a mother: when they didn’t like Mason’s mother, it felt like they didn’t like ME as a mother. Okay, so what to do? The most tempting option is always to give up. Some books aren’t meant to be written. There is such a thing as a false start, also known as barking up a wrong tree. Better to abandon a fatally flawed project after four chapters than after ten. I work full-time at another demanding job; I don’t have TIME to bark up wrong trees. My barking needs to be maximally productive. But the option I’m going to take is to go ahead and write Chapter 5. And then Chapter 6. See if the problem sorts itself out, if later chapters contain a clue for how to go back and fix the earlier chapters. After all, it was only the FIRST scene of Chapter Three that Phyllis didn’t like.